It cannot be denied that Data Backup is one of the most important fields of information technology. It has also been observed that it is one of the most ignored as well. Data is the most important asset of any organization. In order to have disruptions free business operations; the availability of data in a timely manner, is indispensable. When it comes to email, organizations use it not only as a mean of communication but as a repository of critical business information as well. It also happens that in litigation process, we can use emails archived locate the required data. Day by day the importance of email is increasing, thus making its backup and recovery mandatory. ‘Backing up’ means making a copy of your most important files; one can use if the original copy is lost. Preferably we store second copy at a different location so that we may retain it in a secured environment. We are living in high tech era where we have made our day to day operations extremely dependent on technology. This hardware infrastructures are bound to have problems. Non functioning of these machines can cost you much in terms of time, money and eventually valuable clients so, the best way to avoid any service interruptions is to backup your data on regular basis. Ideally you should outsource it with a trust able and responsive managed hosting provider. It will assist you a lot in case of any interruptions. No matter how professionally and personally competent human resource you have, being human they can also make mistakes. e.g. accidentally deleting files, entering the wrong data and so forth. Therefore, It is very useful to have a cloud based backup plan. Nature is pretty unpredictable. Organizations that don’t have proper backup and recovery plans, it is nearly impossible for them to resume business operations after a major disaster hits. Besides these natural disasters, what if a cup of coffee drops and cause data loss. In case of fire, situations are even problematic. Again, a good backup and recovery plan can serve the purpose. Every body remains busy from dawn to dusk. Your stakeholders want to access information whenever they want. This kind of uninterruptable and consistent service can only be provided when you have backup and recovery plan. Disaster recovery and Business continuity solution helps in restoring the email functionality whenever the user encounters the problem like disruption. 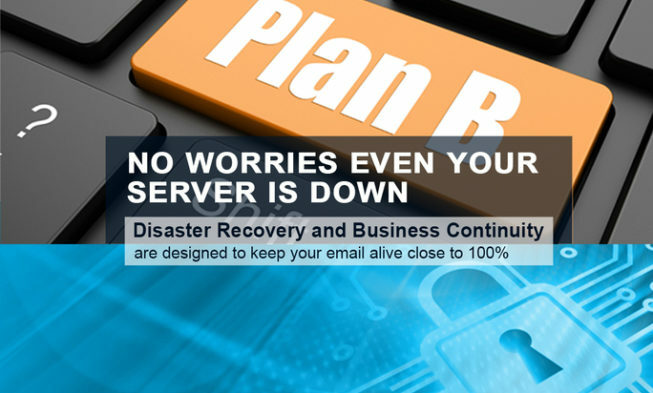 Furthermore we have designed Disaster Recovery and Business Continuity to keep your email alive close to 100%. If the Mail server is available, email will be delivered as normal. Email Server. Spam Filtering and Virus Scanning will also take place here. 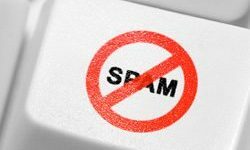 If virus or Spam is detected, email will automatically drop into trash can. Clean emails will be kept in the Backup Email Server for 7 days before being deleted. 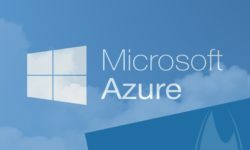 Queue emails is delivered when primary server is available. In order to meet your disaster recovery and business continuity needs, WebServer Malaysia has designed a package that includes 10 mailboxes with 500MB of storage. This standard plan is available for you in just RM 235/- per year! Visit now and order a plan so that you never stuck in a situation where you cannot have access to your emails.